Located in the very center of Frankfurt, the Westin Grand Frankfurt hotel offers you a new experience of relaxation, elegance and cozy atmosphere, the moment you enter the lobby. 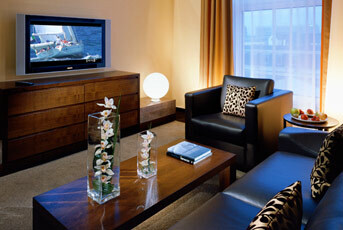 Nearby guests will find the famous Zeil Shopping mall. Guests can rest or meet friends in an impressive atrium with glass dome and subtle lighting. The atrium bar and lounge is a favorite meeting point where guests can relax and enjoy international a la carte dishes, coffee, cakes, and classic car drinks. In the hotelâ€™s lobby guests will there are 2 exotic restaurants where guests can try inventive Chinese cuisine or Japanese delicacies. 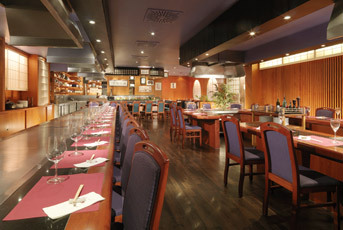 Sushi and sashimi are freshly prepared in front of your eyes by sushi masters. 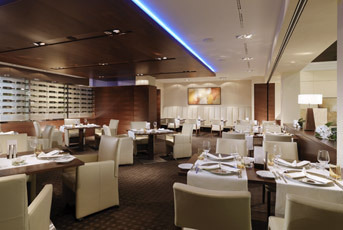 Guests can also savor Mediterranean cuisine in a friendly restaurant with spacious inner terrace. Enthusiasts of local German cuisine, beer and apple wine will enjoy meals in traditional restaurant decorated with dark wood and rustic fittings. 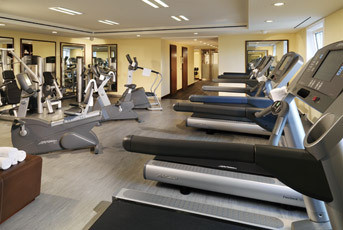 Guests will find an oasis of relaxation in a modern wellness center with a sauna, swimming pool with crystal clear water, gym and a wide range of spa treatments. 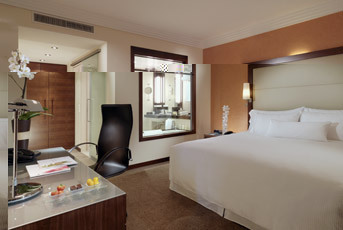 The Westin Grand hotel features 371 elegant rooms and suites, decorated in warm relaxing colors, and provided with comfortable furniture and fittings. Bathrooms are extremely comfortable and spacious with floor heating and modern showers. 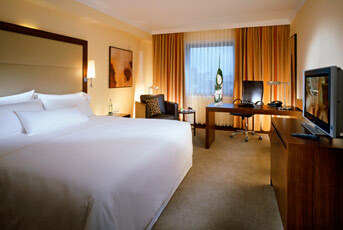 Deluxe rooms and Grand Deluxe rooms also have an inner patio. VAT is included in the rate. 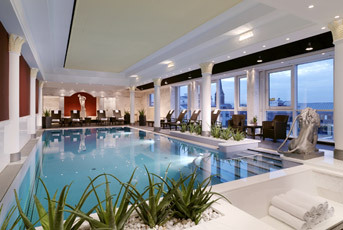 The Westin Grand Frankfurt hotel is located in the very center of Frankfurt. Guests can reach the train station within 5 minutes and the airport within 20 minutes by public transport.